I experimented on canvas for the first time ever. 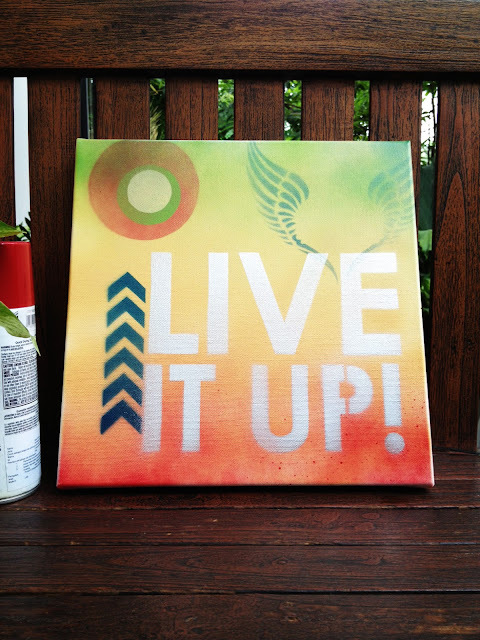 With the help of (of course) papercutting and spray-paint, I created this to kick off 2013. Live it up!